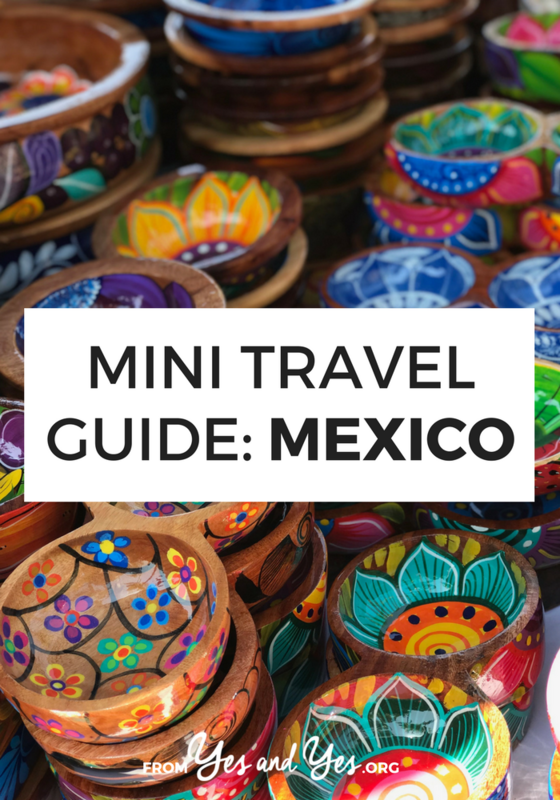 Looking for a travel guide to Mexico – particularly NOT Cancun or Tulum? Those cities are great, but Mexico is huge and diverse and there’s more to eat than tacos! I brought in a local to share all her best Mexico travel tips – what to do, where to go, and how to do it all cheaply, safely, and respectfully. 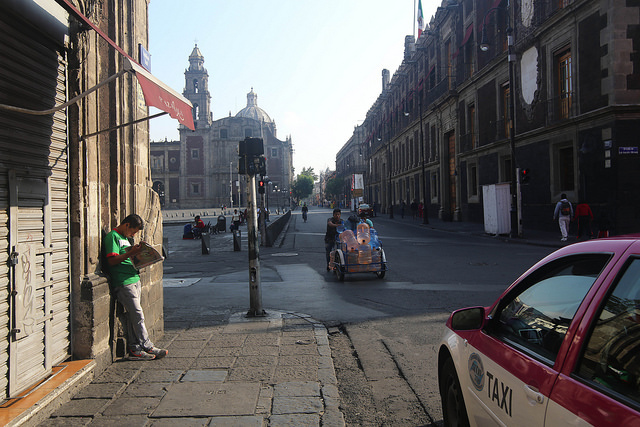 This travel guide to Mexico comes to us from Bere, who lives San Miguel de Allende, Guanajuato. She’s an aspiring writer/journalist/blogger, fueled by music and learning new things. This is one of our many Mini Travel Guides, in which we whet your appetite with tidbits from heaps of delicious countries. 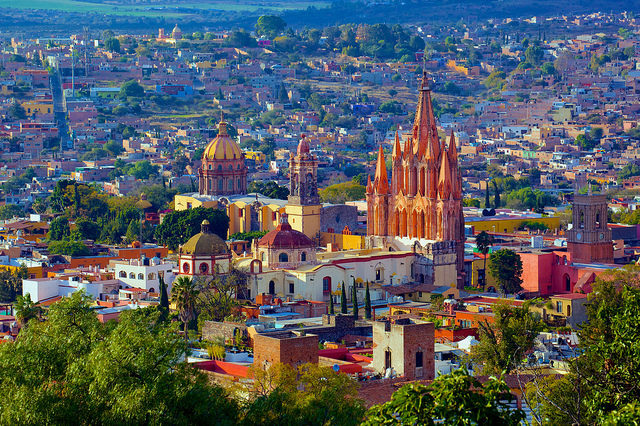 Four hours from Mexico city, this gorgeous town attracts national and international tourists The town’s parish is an obligatory stop, with its breathtaking architecture and busy surroundings, especially during the weekend. Plenty of artists live and work here, which means the art circuit is extremely active, with new exhibits and shows opening nearly every week. The whole city is photo worthy and best appreciated when walking, so bring comfy shoes and many memory cards for your camera! After experiencing a rebirth during the past decade, La Condesa is Mexico City’s ‘it’ neighborhood. Many of the Art Deco edifices have been restored and the green areas – like the huge Parque México – have been revamped. 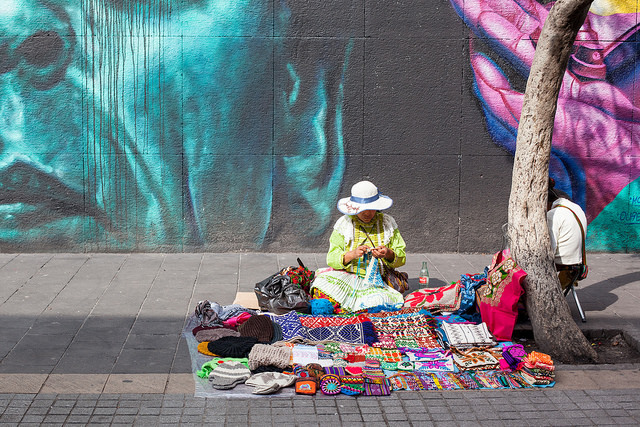 La Condesa has become the place to be for up and coming Mexican fashion designers, edgy shops, cool nightclubs and a number of awesome places, like the Cinna Bar (oriental music and food) or the Cafebrería El Péndulo, the best bookstore in the city. Most Mexicans believe in supernatural powers, the afterlife, and the occult. The most popular ritual in this regard is the ‘limpia’ (which translates loosely into ‘cleansing’), for which there are as many methods as there are people who practice it. Its main purpose is to ‘clean’ the person of any negative vibes he/she is carrying. This is achieved through catholic prayer, incense burning, herb rubbing etc. The best places to get ‘limpias’ are Mexico City (at the Mercado Sonora) and Catemaco, Veracruz. Every year on November 1st, us Mexicans celebrate the Day of the Young (children) Dead and on the following day, November 2nd, the Older Dead. It’s a ceremonial wake where we wait for the spirits of our beloved departed to return for a night to the world of the living. Special food is prepared, prayers are said and beautiful altars are built. Families come together for this special occasion; sadly it risks being absorbed by Halloween. 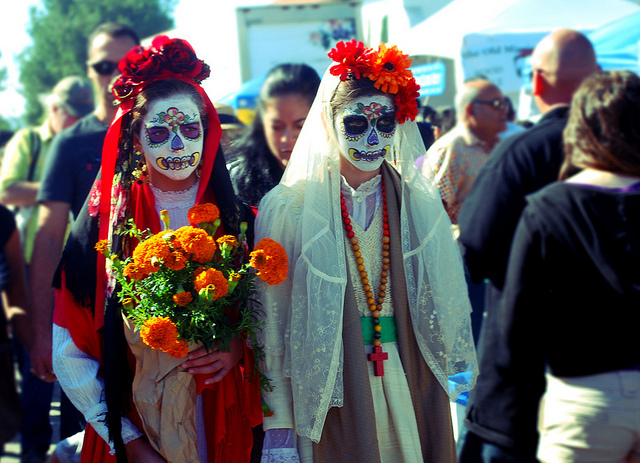 The celebration takes place at cemeteries and households all over the country, but the most remarkable sites are Patzcuaro, Michoacán and Mixquic, Estado de Mexico. Believe me when I say that the tradition is worth taking part of, whichever your personal beliefs may be. The most popular sport in Mexico, after soccer, is freestyle wrestling (or ‘Lucha Libre’). The presence of masks to keep the wrestlers’ identities a secret, plus the division of them into “good guys” (called Técnicos) and “bad guys” (called Rudos) continues to lure crowds and keep its place within Mexican culture. Most of the big cities in Mexico are hosts of these events regularly and if you’re in Mexico City there are matches taking place all the time. You have to check listings to make sure you’re there for the action. I recommend sitting as far from the ring as possible, unless you don’t mind getting beer spilled on you or having a wrestler landing on your lap. Act responsibly: take care of your belongings, don’t attract too much attention to yourself and try not to travel alone or, even better, get a local – tour guide or well-known friend- to accompany you in crowded events and unknown areas. Don’t be all paranoid either, though. You’ll find that we Mexicans are friendly, open people who are always willing to help and show you the best we have to offer – our country and traditions. Airbnbs are cheaper than a hotel and much more authentic. Here’s a beautiful, historic apartment in Mexico City for $60 a night and here’s a one-bedroom place with a pool in Merida for $50! If you’ve never used Airbnb before, here’s a $40 credit towards your first booking. 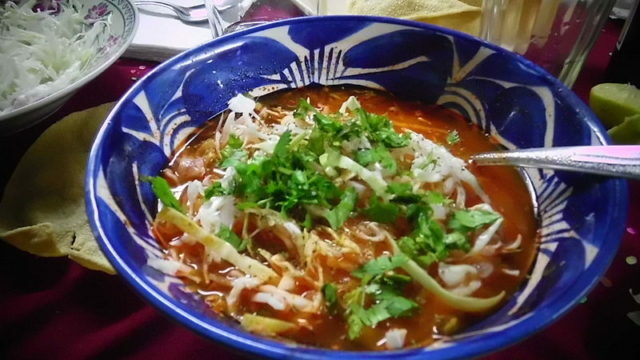 This is a stew made with either pork’s head meat (red pozole) or shredded chicken (green pozole). Everything is boiled with cumin, garlic, onion and chile huajillo until the meat is tender. It’s served very hot with thinly sliced radishes, lettuce and oregano. It’s accompanied by tostadas (deep fried, crispy tortillas) and, for the bravest, chile de árbol on the side. It’s a dish you’ll find everywhere in Mexico, but it’s also prepared by families to commemorate special occasions (births, weddings, quince años, birthdays or Christmas celebrations). A delicious nearly-vegan dish, romeritos are soft, mild-tasting wild plants which resemble rosemary – hence the name. They are cleaned, boiled and then mixed with a thick, tasty sauce typically made of chiles mulatos, almonds and bread. Potatos, shrimp patties and minced prickly pear (minus the thorns, of course!) can also appear with romeritos, but it’s not mandatory. They’re also not always spicy, but try a little first, just to be safe ;). You eat them with tortillas, rolling them into a taco, or as pastry filling. Everybody cooks and/or eats romeritos during Easter or Christmas here in Mexico. This is a typical Mexican sweet usually made of goat’s milk. There are three basic varieties: plain, vanilla or – my favorite – wined. The texture is gooey and drippy. We use it to flavor atole (hot drink made with corn flour, milk and sugar) or over toast, as a substitute for jam. There are also a few well-liked Mexican sweets based on cajeta, such as Monterrey’s Glorias (cajeta praline/toffee with nuts) or the obleas (two super thin flour patties glued to one another by a generous spread of cajeta). Thanks so much, Bere! Do you guys have any questions? Any travel tips about Mexico you can share? I love this idea of a mini travel guide! It's so informative, yet not boring and wordy like some guides tend to be. I dream of quitting my job for a year and traveling the world. Kind of like Elizabeth Gilbert did, haha. I loved this travel guide :DDD. I'm from Mexico and other must see places are: Polanco and Reforma with a stop at the Chapultepec Castle. Also, wandering the streets of the Centro Histórico is awesome. Pozole is super delicious and I also recommend barbacoa (lamb meat cooked in an underground oven, it's DE-LI-CI-OUS! ), having some atole and tamales and some tacos al pastor at a taquería *_*. Pozole is probably my favourite food ever! I've been to Mexico about 7 times now and my Dad has finally perfected his pozole recipe so it almost tastes as good as it would on a hot day inside a small restaurant along the side streets of Mexican cities. Just to add to this, I would recommend if travelling to Mexico, try with all your might to avoid staying at resorts. Yes, they're easier and you can buy flight-resort combos, but staying in Mexican-owned hotels add so much more to your experience! You'll save tons of money, be closer to great restaurants and probably get to learn some more Spanish. First of all, HUGE thanks to Sarah for giving me this opportunity!!! :))) Yes an Yes is one of my favorite blogs ever and it means the world to me to share something about my country with you guys. Thanks also to all of you who have commented. I didn't include Polanco because it's mostly a shopping/expensive part of the city, I wanted to share something less commercial. I LOVE Polanco though, don't get me wrong ;)) hehe…I'm so glad to read that you love pozole as well 😛 it's so yummy, I'd eat it every week if I had the chance! Love this post 🙂 such great ideas! love your blog. Fantastic post, Bere! I loved reading about the different aspects of Mexican culture that can be experienced by tourists. It seems like a country that's truly proud and devoted to the integrity of its culture, which is such a wonderful thing to see. Beautiful job! What a fantastic travel guide! I have an obsession with travelling across South America and would LOVE to visit Mexico. The food alone sounds incredible. page and be up tο dаte еveryday. really like studyіng your pοsts. Stаy up thе gooԁ ωork! information, уou could aid them grеatly. First of all I wаnt to ѕay grеat blog! I had a quiсk quеstion that I'd like to ask if you don't mіnd. cleаrіng my mind in gettіng my thoughts out. out hоw to begіn. Any іdеаѕ οr tiрs? I take pleasure in, lead to I found exactly what I was having a look for.